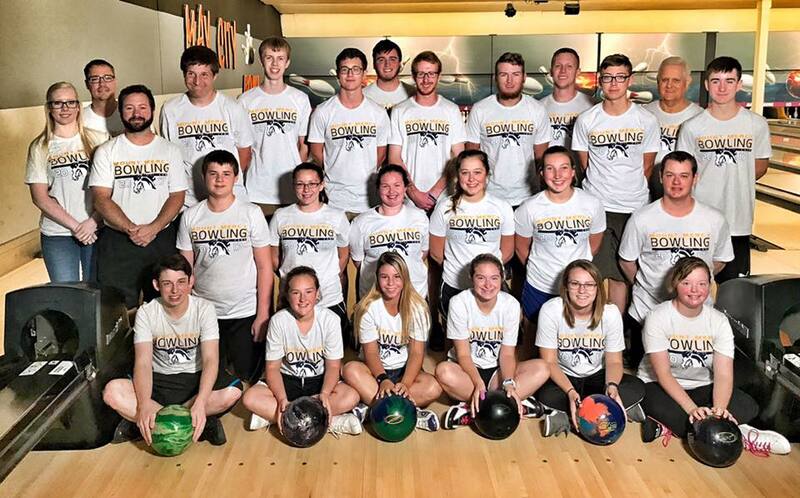 At Storm Bowling Products we are proud to join the International Bowling Media Association in a two year sponsorship of the IBMA Collegiate Bowlers of the Year Award. 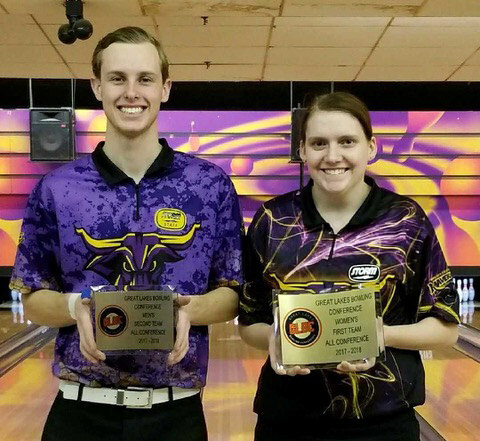 These awards were established in 1987 to recognize and honor male and female bowlers for their outstanding accomplishments in collegiate competition and are presented each year during the Intercollegiate Team Championships at the awards banquet. A committee of eight to ten members of the media selects the top eight players, male and female. The committee then votes by weighted ballot to determine the four Honorable Mention, three Runners Up and the Bowlers of the Year. 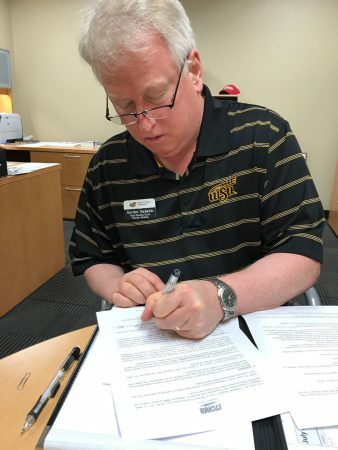 Steve Kloempken, Vice President of Marketing, and Diandra Asbaty, Storm Collegiate Manager, will join the committee. Kloempken won the award in 1995 when he bowled for Wichita State. Other standout winners include Chris Barnes, Lynda (Norry) Barnes (2), Josh Blanchard, AJ Johnson (2), Liz Johnson, Marshall Kent, Kelly Kulick (2), Stefanie (Nation) Johnson, Bill O’Neill (3), Missy (Bellinder) Parkin, Shannon Pluhowsky and Michael Tang. Several of the players are now members of Team Storm. Storm Bowling also supports, with its corporate membership, the $5,000.00 IBMA Chuck Pezzano Media Scholarship, presented by the Billiards and Bowling Institute of America. 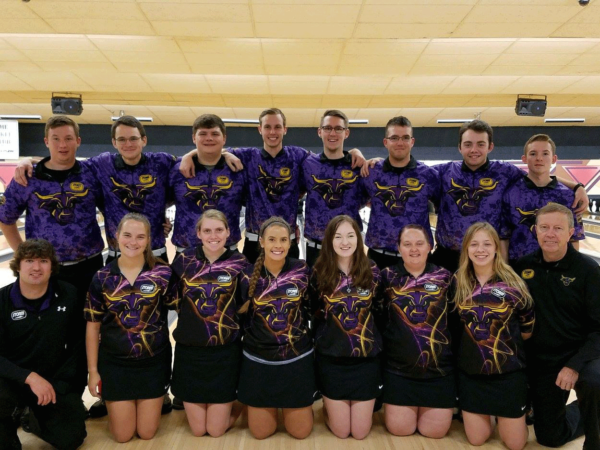 For more Storm Collegiate news be sure to follow Storm Collegiate Bowling on Facebook. Storm is The Bowler’s Company — It is the essence of the brand and the foundation on which all communication is based. Truly a grassroots success story, Storm Products started from the garage of Bill and Barb Chrisman, based on the belief that they could do things differently, better. 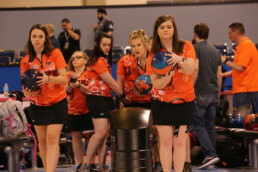 Located at the International Bowling Campus in Arlington, Texas, the IBMA provides awards and recognition to professional and amateur bowlers, industry volunteers and bowling writers, as well as promotes bowling journalism as a career choice to youth bowlers throughout America. For more information log on to www.bowlingmedia.org. 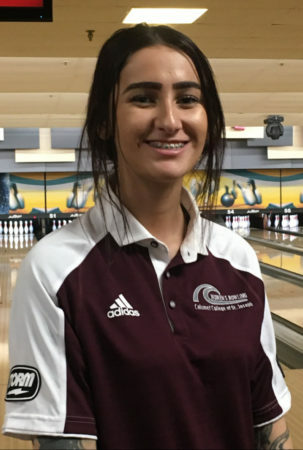 These College Bowling thoughts are brought to you by Kenzie Hollamon, 20, a Freshman at Calumet College of Saint Joseph. Kenzie is studying English with a focus in literature and creative writing. She previously attended a community college in Washington state on a women's soccer scholarship. 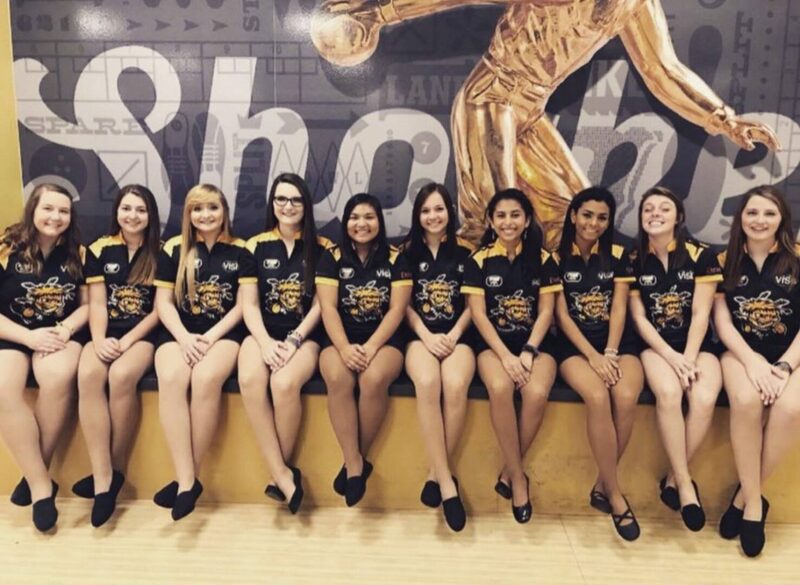 Entering the world of college athletics is a wonderfully terrifying experience, it entails many hours of hard work on and off the lanes, dedication, and perseverance. As a student-athlete myself I’ve come across some tactics and strategies to take full advantage of my time as both a student and an athlete. Time Management - Finding a schedule that works for all the aspects you are trying to take on during this experience is key. You have 24 hours in the day, make the most of those hours doing things that are beneficial to your growth as an individual. Organization - Having your schedule laid out in front of you every day will help you keep hold of your head. It’s extremely easy to become overwhelmed balancing classes, practices, and workouts having a schedule written down can help you stay calm and less stressed. Motivation - The drive to become a well-educated individual has to equal the drive to become the best athlete you can be. Take a Breath - Overloading your schedule is easy, take a step back and breath, don’t lose your sanity trying to do too much at once. Priorities - Remember you are a student before an athlete, education and classes must be your number on priority. Have Fun - Remember to have fun, in such serious situations such as college athletics you can lose your head and the “why” you’re doing this in the first place. Remember why you started this journey. Positive Mindset - You are your biggest competitor, trying to keep a positive mindset is easier said than done but the attempt alone can make your mind change from doubt to inspiration. Environment - Find other individuals that have the same drive and ambitions as you, surrounding yourself with other inspired people will create an environment ready for growth and improvements. Overall remember to enjoy the experience, make the most out of everything that comes your way with the opportunity of being a student-athlete. Take a step back when things start to become overwhelming to you, don’t feel obligated to overload your schedule, allow yourself to breathe. My favorite part of college bowling is the competitive platform. It is not a typical setting for our sport, where five to eight people get to come together for one common purpose. It truly is one of the best platforms for bowling. A few weeks before the event I stop working on trying to improve my game and just allow myself to feel good about how I am throwing it. I work on visualizing good pre-shot routines and watching my ball go through the pins for a strike every time. I take a few days to check my bowling balls to make sure everything is how it needs to be and the surfaces are set up in an appropriate way. We work on our games every single day. We have official team practices Monday through Thursday, along with workouts (Monday, Tuesday, Thursday) and study hall on Wednesdays. However, we commit a lot of time outside of team practice to getting to be the best player we can be. This one is hard for me to put into words. When teamwork is going well the energy is electrifying and the connection between teammates is seamless. When it is going well words are not needed. It becomes easy to move off of each other and watch lane transition happen. It simply looks like having fun and playing lanes. The physical game is important, but to me the mental game is much more important. Being able to mentally rebound from a bad day or stay committed during a good day is much harder than simply working hard on a physical game. It is easy to see physical game changes, but mental games changes take faith and belief to occur. We are a Storm sponsored collegiate program! So our team is very thankful to have stars and bolts on our bowling balls. Storm and Roto Grip have the best brand in the business by providing a wide range of bowling balls that can fit every member of our team, no matter what pattern we are bowling on that week. For me personally, there is no company whose balls go through the pins better than Storm and Roto Grip! Life as a collegiate athlete is beyond satisfying. I get to spend everyday at a university that provides me with an outstanding education in my desired field. 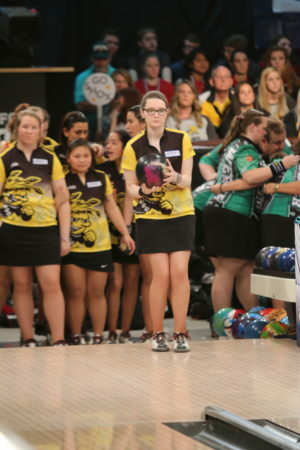 I also get to focus on my passion and love in life - bowling. Getting to do this is a privilege and a blessing. Each day I wake up just being thankful for the opportunity to study my sport and my chosen field. Yes there are mandatory workouts! However, we still commit more time to the gym than just the mandatory workouts. We do a program called F45 and it was originated in Australia, and we were one of the first two universities in the United States to provide the workout class to the students. The practice facilities are right on campus. We are extremely blessed. We have practices together everyday. However, usually the women are on the first four lanes and the men are on the second four. But, on some days we mix and get to bowl together. Those are some of my most favorite practices. No matter what, though, we are cheering for each other and hoping that each other succeeds. Storm IQ Tour, of course! This ball is one that when I have no idea what is going on, I can change to it and it will tell me exactly what the lane is doing and what the lane is looking for. We are limited to five balls each tournament. I simply stick with building an arsenal around my IQ Tour. So I have a big ball (one that reads the lane early), then the next ball is typically one that is pretty early but will be a little stronger on the backends than the big ball, then my IQ tour, then a higher RG ball (it typically tends to be the hyroad), and last the trusty spare ball. At Wichita State we are always just worried about beating the lane condition. So, really, I'm never having to compete against friends. It's amazing to see them at tournaments and get to interact while playing the sport that we love! It is possible! (I am a tour guide on campus!) But, we have to be very good at budgeting our time. At one of the collegiate tournaments in Las Vegas, one of our teammates (she's kind of short ;)) decided it would be really funny to belt Celine Dion at the top of her lungs in the middle of Caesar's Palace. The whole lobby looked at her confused and we just all laughed. Being a student athlete is stressful. It is important to start learning time management early so when you get to college it is easy to just keep doing what you've been doing! I love the competitiveness. The feeling I get when I need to strike in that moment to win a match or make it close is what I live for. I thrive on the high-pressure moments. Being able to come through in those moments, knowing that it was for my teammates and coaches, is an amazing feeling. What is your preparation routine? Before every tournament, I stretch and listen to music to get me in the zone. Before every shot I grab my ball, wipe it, visualize my targets and take a deep breath. Once I get onto the approach, I don’t think; I get comfortable and then make the shot. 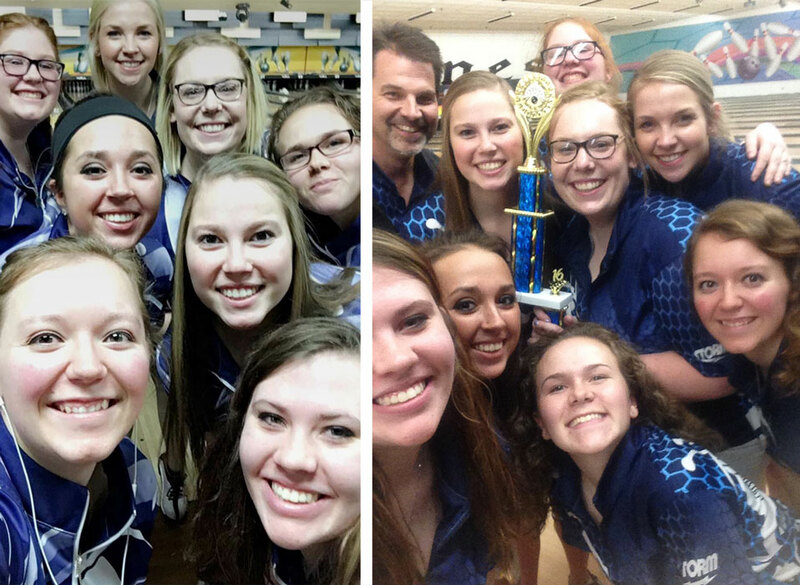 As a team, we practice three days a week on the lanes for a couple hours each. Some of us practice more on our own time to work on certain areas of their games one on one. To me, teamwork is being able to overcome obstacles together. Everyone works together to help each other out. At tournaments, we typically do not know what the pattern looks like, so as a team we have to work together to overcome that obstacle. Bad shots will be made, spares will be missed, but when your teammates tell you “It’s okay, shake it off! We’ll pick you up” and then as a team, we do, that is a prime example of teamwork! While they are both important, the mental part of your game will make you succeed further. You can have all the best techniques with your physical game. However, if you allow something to impair your mental game, it will negatively affect your overall game. Personally, Storm products match up best with my game. I know that my teammates love Storm products as well. Storm bowling balls cover every type of ball you need from fresh to burn. The characteristics of these balls prepare us to compete to the best of our abilities. I’m thankful to bowl for a program sponsored by such a great company. 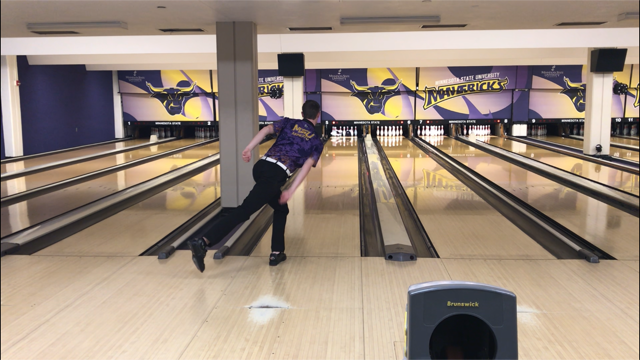 Life as a collegiate athlete requires many hours in the classroom, outside the classroom studying, and on the lanes perfecting your game. It requires time management, teamwork, and the perseverance to push you further. Being a collegiate athlete teaches you that when you feel that you’ve pushed yourself to your limits, you can always push further to achieve more. We start with an open discussion led by Coach Littig regarding a variety of topics. We then break into the men’s and women’s teams where we warm up for twenty minutes before working on specific drills to improve our techniques. We periodically have team competitions to add a little fun. Are there mandatory workouts at your program? In the past, we have not had mandatory workouts, but we are planning to have team workouts this coming year. 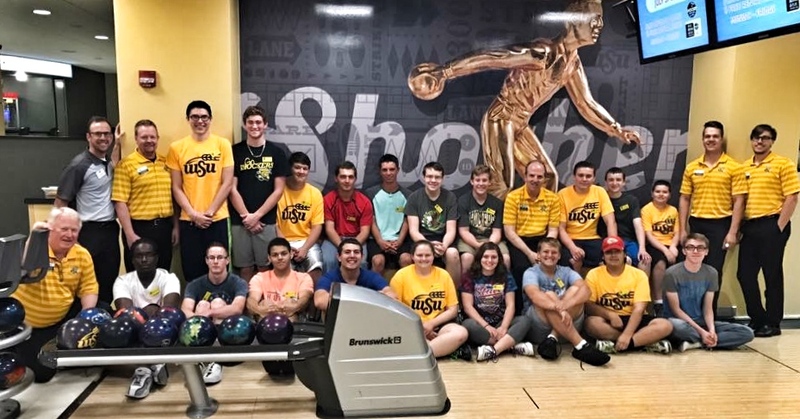 An advantage that our bowling program has is that we have the luxury of utilizing two different facilities, which are both within ten minutes of campus. This is an advantage because it gives us experience on two types of approaches, lane surfaces, and oil conditioners. This makes us more adaptable for both wood and synthetic approaches. Both teams interact throughout campus. Since our school is a private institution, we see each other often on campus. Generally, we like to hangout after practice and go to dinner. So far, my favorite Storm ball is the Lock. I have had three in the past two years because I love the ball so much. I have had great success with them. I used my first one most of the week at the 2016 Team Trials where I made Jr. Team USA. It has also been my go to ball during both years of college, especially this past year. It is tricky because we don’t know the patterns and there are so many options, but I talk to Coach Crawford about what we both think I should bring. We try to take an arsenal that covers everything by avoiding any gaps between ball characteristics. I always have my spare ball, so it can be even more challenging when having to pick just four or five other balls. Competing against friends on opposing teams is tough when we go head to head. You have to keep in mind that you’re friends off the lanes and you wish them the best of luck, but you want to win for your teammates and yourself. At our program, it is definitely possible to have a job, but the main concern is making sure the individual isn’t too overwhelmed with their personal schedule. This can vary depending on the individual’s preferences, what their major demands of them, how flexible their bosses are with their busy schedule, etc. It can be difficult at times, but it is possible and will teach you various skills. For the most part, I prefer to be busy. I’m most productive when I’m busy.